Palestinian leader Yasser Arafat speaks at the signing of the Wye Peace Accord in the White House. Poisoned toothpaste that takes a month to end its target's life. Armed drones. Exploding cell phones. Spare tires with remote-control bombs. Assassinating enemy scientists and discovering the secret lovers of Islamic holy men. Ronen Bergman, the intelligence correspondent for Yediot Aharonot newspaper, persuaded many agents of Mossad, Shin Bet and the military to tell their stories, some using their real names. The result is the first comprehensive look at Israel's use of state-sponsored killings. Based on 1,000 interviews and thousands of documents, and running more than 600 pages, "Rise and Kill First" makes the case that Israel has used assassination in the place of war, killing half a dozen Iranian nuclear scientists, for instance, rather than launching a military attack. 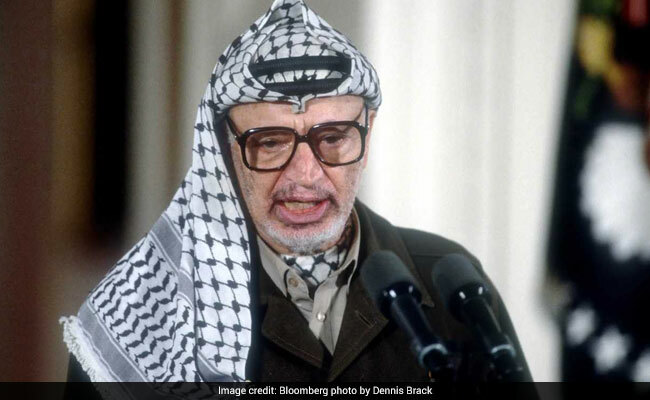 It also strongly suggests that Israel used radiation poisoning to kill Yasser Arafat, the longtime Palestinian leader, an act its officials have consistently denied. Bergman writes that Arafat's death in 2004 fit a pattern and had advocates. But he steps back from flatly asserting what happened, saying that Israeli military censorship prevents him from revealing what - or if - he knows. The book's title comes from the ancient Jewish Talmud admonition, "If someone comes to kill you, rise up and kill him first." Bergman says a huge percentage of the people he interviewed cited that passage as justification for their work. So does an opinion by the military's lawyer declaring such operations to be legitimate acts of war. "The command-and-control systems, the war rooms, the methods of information gathering and the technology of the pilotless aircraft, or drones, that now serve the Americans and their allies were all in large part developed in Israel," Bergman writes. There have been plenty of failures. After a Palestinian terrorist group killed Israeli athletes at the 1972 Munich Olympics, Israel sent its agents to kill the perpetrators - and shot more than one misidentified man. There were also successful operations that did more harm than good to Israel's policy goals, Bergman notes. Bergman raises moral and legal concerns provoked by state-sponsored killing, including the existence of separate legal systems for secret agents and the rest of Israel. But he presents the operations, for the most part, as achieving their aims. While many credit the barrier Israel built along and inside the West Bank with stopping assaults on Israeli citizens in the early 2000s, he argues that what made the difference was "a massive number of targeted killings of terrorist operatives." One of Bergman's most important sources was Meir Dagan, a recent head of Mossad for eight years who died in early 2016. Toward the end of his career, Dagan fell out with Prime Minister Benjamin Netanyahu partly over launching a military attack on Iran. Netanyahu said intelligence techniques such as selling the country faulty parts for its reactors - which Israel and the U.S. were doing - weren't enough. Dagan argued back that these techniques, especially assassinations, would do the job. As Bergman quotes him saying, "In a car, there are 25,000 parts on average. Imagine if 100 of them are missing. It would be very hard to make it go. On the other hand, sometimes it's most effective to kill the driver, and that's that."